There are three main routes leading directly to Gdańsk, Sopot and Gdynia: the E28 from the west; the E75 from the south; and the E77 from the east. The E28 brings you to the tri-city via Gdynia in the north while the E75 comes via Gdańsk in the south. Part of the A1 dual carriageway has recently been opened making the final hour's journey a lot less frustrating as you now bypass Tczew. Finally there is the E77 from Warsaw which will bring you into the city via Gdańsk. If Polish roads and other drivers don't encourage you to keep an eye on your speed, remember that Polish police are lurking by the roadside ready to slap you with a fine. Try to avoid entering Gdansk in the morning rush hour as the traffic jams seem to be worsening by the week as more cars hit the road and more roadworks start to modernise the network. If you are coming from the south you will need to negotiate the other two cities first. This is best done by use of the Obwodnica (ring road) which will get you to the centre of Gdynia in about 20 minutes. Gdynia itself is the best laid out of the 3 cities in terms of cars but even parking here is a challenge these days. Head for ul. Świętojańska, which is the city's main street and you will find most hotels and restaurants based around here. The Tri-city can now boast a very impressive airport, co-owned by the three cities, around which you’ll see lots of new industry sprouting. The area was open countryside not very long ago and the expansion of the airport, the accompanying business and the construction of a new railway link to Gdansk and Gdynia are a sure sign of a region on the up. It also makes Gdynia’s attempts in recent years to build its own airport even more questionable. 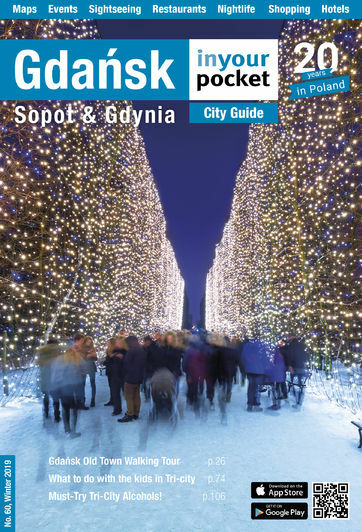 The city is connected to all major cities in Poland with travel times subject to both delay and improvement as a major investment programme continues. The main railway station has received a well-needed facelift and now features all new ticket offices and passenger facilities which, in the words of one of our researchers, look amazing compared to the run-down building that was there before. The city centre is signposted and lies right outside the station and the main street, ul. Świętojańska is a 10 minute walk away by turning right out of the station and following ul. 10-go Lutego.